Two Dollar Radio, 9780983247173, 209pp. "Radio Iris has a lovely, eerie, anxious quality to it. Iris's observations are funny, and the story has a dramatic otherworldly payoff that is unexpected and triumphant." "A noirish nod to the monotony of work." "Kinney is a Southern California Camus." "'The Office' as scripted by Kafka." " An] astute evocation of office weirdness and malaise." Radio Iris follows Iris Finch, a twentysomething socially awkward daydreamer and receptionist at Larmax, Inc., a company whose true function she doesn't understand (though she's heard her boss refer to himself as "a businessman"). Gradually, her boss' erratic behavior becomes even more erratic, her coworkers begin disappearing, the phone stops ringing, making her role at Larmax moot, and a mysterious man appears to be living in the office suite next door. 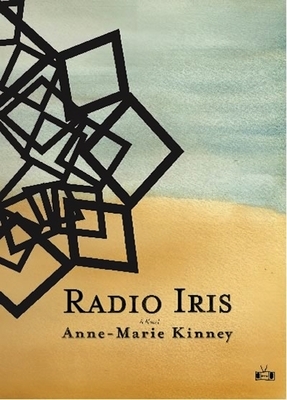 Radio Iris is an ambient, eerie dream of a novel, written with remarkable precision and grace that could also serve as an appropriate allegory for our modern recession. Anne-Marie Kinney's short fiction has appeared or is forthcoming in Indiana Review, Black Clock, Keyhole, and Satellite Fiction. Anne-Marie Kinney: Anne-Marie Kinney has been published in Black Clock, Indiana Review, and Keyhole, and performed at L.A.'s Word Theatre. Radio Iris is her first novel.